The CBC Creative Nonfiction Prize juror answers eight questions submitted by eight other authors. 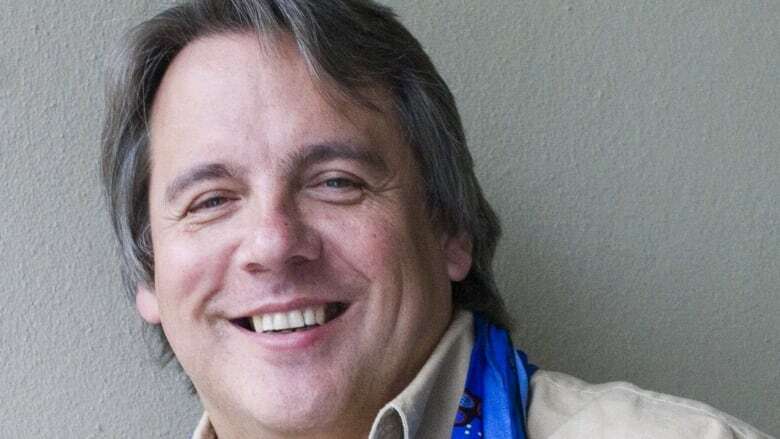 Drew Hayden Taylor has done everything from performing stand-up comedy at the Kennedy Center in Washington D.C to serving as the artistic director of Canada's premiere Native theatre company, Native Earth Performing Arts. He is also one of the three writers judging this year's CBC Creative Nonfiction Prize. Below, Drew Hayden Taylor answers eight questions submitted by eight of his fellow writers in the CBC Books Magic 8 Q&A. 1. Nazneen Sheikh asks, "Do you forget all the angst when the book actually arrives from the printer?" For the moment... until I start discovering mistakes and typos scattered through the text. Some don't become apparent for years. 2. Donna Morrissey asks, "What are the biggest hurdles to overcome in your personal life while you're creating a book?" Blocking out the weeks and months it takes to create something, whether it's a play or a novel. I can't just spend an hour here or a few days there, it has to be a sustained period of time. So no trips, lectures, readings, etc. 3. Lawrence Hill asks, "Why do funny novels get so little respect in Canada, and have you ever burned with desire to write something so damn funny that readers will fall right out of their chairs? Is that a laudable goal?" 4. Karen Solie asks, "What do you do for fun? If you think writing is fun, what else do you do?" Reading. Movies. Travelling. Mostly stuff where I don't have to think. So I find things like laundry, rolling coins, sorting stuff an odd but pleasant way of focusing my mind without having to think. 5. George Elliott Clarke asks, "What literary character would you like to seduce — or be seduced by?" 6. Linwood Barclay asks, "What keeps you from physically harming people who ask: 'Would you have written anything I might have read?'" As a Native author, if they haven't read anything I've written, they definitely need to broaden their perspective on Canadian literature. Otherwise, what keeps me from harming them is a great sense of pity and sadness for what they have not had the opportunity to experience. 7. Tracey Lindberg asks, "Favourite place to read? To write?" Reading: on the beach is nice. In bed is nice. Tucked away at a small restaurant or coffee shop is also good. On a plane to some exotic spot... like Saskatoon is equally good. Writing: other than jotting down notes and vague ideas, I have to write at my desk. Quiet and alone. 8. Michael Winter asks, "Have you ever thought about something that happened and realized that it never happened, you just wrote about it that way in a book?" I have an uncomfortable feeling that several events or adventures I have discussed or written about over the years may be exaggerated. Not made up or lies, merely the dramatic effect has been elevated with some literary steroids.